Pakistani 9th class students face problems when it comes to finding the KIPS notes for FBISE, being one of the most expensive academy systems in the country. For the same purpose, TopStudyWorld was made where the Pakistani students will be provided with the stuff which they need to get higher marks in exams regardless of where they are living in Lahore, Faisalabad, Rawalpindi, Islamabad, Karachi, Quetta, or Peshawar. In this post, all the chapters will be updated, till now only 2 chapters are covered. Because it takes some time to arrange the material. Within 2 weeks, it will be completed. Everyday a new chapter is uploaded. Bookmark this article for the future use. You are free to download the notes below and get the most of it. Not only keep this notes limited to you rather you should share with your friends. You might be thinking if I share with others, they would get good marks. This life doesn't work like this. If you share with your friends, Allah will help you. 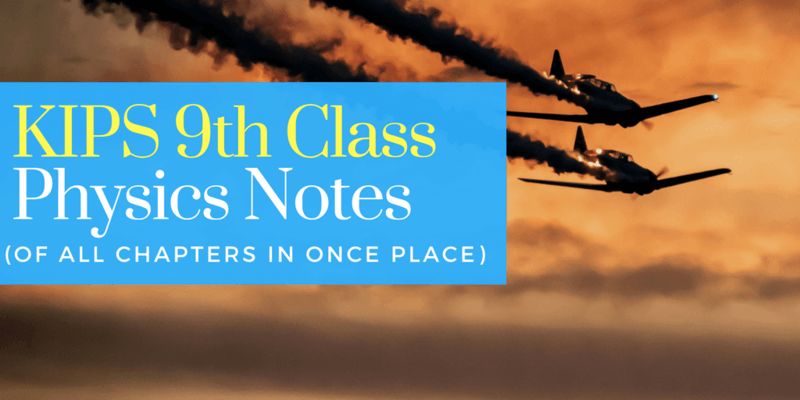 If your friends study in 9th class/SSC Part 1/ Matric Part 1, you should give this blog where much useful content about getting great marks in exams have been given.